Seattle is updating building codes for new skyscrapers after a shocking study revealed that the power and nature of earthquakes in the region pose a significant threat to its tall buildings, one that is worse than experts could have imagined. The Seattle Times recently reported on results from the M9 Project, a four-year study that aimed to estimate the effects of a magnitude 9 Cascadia earthquake, revealed that the vast, sediment-filled basin under Seattle can magnify the type of ground shaking that puts high-rises at risk of collapse by a factor of two to five, which can trigger stronger surface effects than earthquakes in nearby California. When rattled by an earthquake, the Times explained, the region's glacial-packed soils, which can extend more than four miles underground, violently shake and convulse, trapping massive seismic waves within the basin that underlies most of the city. Intense shaking like this could last for two minutes, which is four times longer than the average quake. While shorter buildings under 10 stories can withstand the earth's back-and-forth motion, tall buildings tend to whip back and forth under those conditions until they are on the verge of collapse. 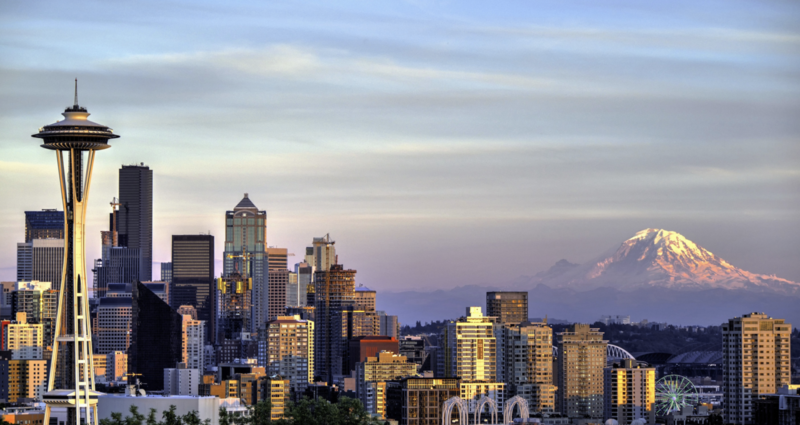 As the Times reported, as a result of these findings, Seattle and its neighbor, Bellevue, plan on revising seismic construction standards for new buildings over 240 feet, or over 20 stories tall. These standards will require high-rises to be stronger and more sturdy than their predecessors, without the additional cost. The plan to revise building codes has also raised concerns regarding Seattle’s older high-rises, many of which were constructed between the 1960s and 1990s, prior to when the dangers of earthquakes were fully understood. Older high-rises have a greater risk of major damage and collapse due to their fracture-prone welded joints, which are supposed to secure the steel frame, as well as their poorly-reinforced concrete supports. Seattle’s renowned Rainer Tower, for example, with its golf-tee-shaped base, was built in the 1970s and undoubtedly has fracture-prone welds. According to the study, buildings like that are up to five times more likely to collapse during an intense earthquake than a modern building. In Seattle, where the seismic threat to skyscrapers is higher than in California because of the city's sedimentary basin, there have still been no attempts to research and pinpoint dangerous high-rises. While the city is taking steps forward by enhancing construction standards, retrofitting old concrete and steel high-rises may be the next necessary step. This may prove costly, but taking time to fix the underlying structure of older buildings could prevent serious levels of damage that can be catastrophic to the community. Due to be enforced on October 3, updates to New York State and City's energy codes will impact the way architects, engineers, and contractors approach and execute projects. With this date less than two months away, The Architect's Newspaper (AN) spoke to the Director of Education Development at Urban Green Council (UGC), Ellen Honigstock, and Policy Manager at UGC, Christopher Halfnight, to see what's in store. 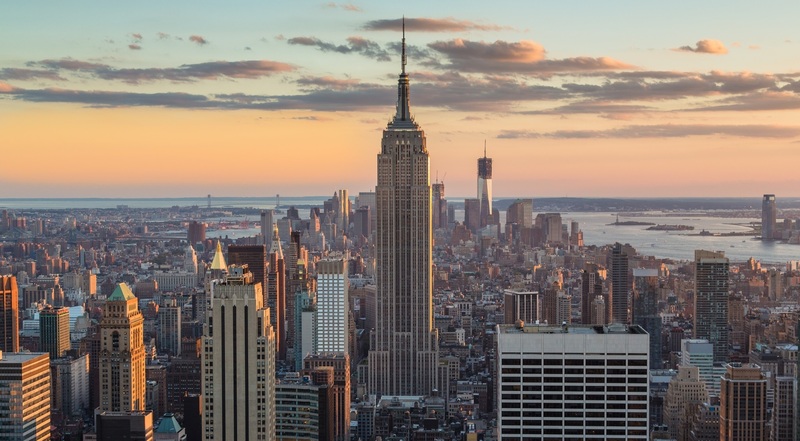 By adopting the new energy code, New York will join a group of only six states that meet federally certified commercial and residential energy requirements. In an article outlining the changes to the code, Halfnight said the update "represents a big step forward for the city’s 2050 carbon reduction goals, with projected energy savings compared to the current code clocking in at nearly nine percent for commercial buildings and up to an impressive 32 percent for residential buildings." Honigstock walked AN through the highlights of the code change. She was quick to note how the biggest changes regard a building's air tightness as well as a significant increase in insulation for residential buildings. Subsequently, builders will be required to conduct a blower door test to ensure air leakage does not exceed three air changes per hour. This new air-leakage requirement will be implemented state-wide, encompassing New York City. The new insulation requirements apply across the state but are particularly stringent in New York City, where the code is set to demand doubling of insulation for residential buildings. "We don't think the industry is ready," said Honigstock, who noted that this was a big change considering that no testing is currently required. Honigstock also pointed out that the biggest difference for contractors will be that this testing would most likely be done during construction—a problem when you have open walls. Halfnight added how the test will now mean that penetration through the building envelope, such as air-conditioning units for example, will have to be carefully considered. Keeping on the theme of air tightness, but moving on to changes in commercial code, open combustion fuel-burning appliances can no longer be housed inside of a building's thermal envelope. As Honigstock specified, this was due to the fact that open combustion could greatly affect the quality of breathable air within an envelope. Back to residential code: new dwellings must be “solar ready” with roof space allocated for panels. In an email to AN, Halfnight outlined how the requirement will only impact new detached one- and two-family dwellings and multiple single-family dwellings (townhouses) that have at least 600 square feet of roof space and a desirable solar exposure. For houses that fall under this criteria, a "solar-ready" area of at least 200 square feet (exclusive of fire code setbacks) is mandated. This area will be halved for townhouses under four stories or below or equal to 2,000 square feet. Construction documents must also display "solar-ready" zones along with the pathways for plumbing and electrical infrastructure. Rounding off the implications of these changes, Honigstock was eager to iterate that the new code means that architects, engineers, contractors and builders will have to "communicate more and work closer together" to ensure that "projects move along quicker." Read up more on the new code here. 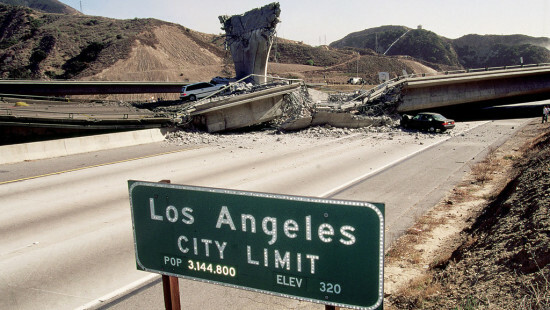 Southern California's enviable climate and landscape—sunny skies, balmy temperatures, picturesque mountains, and surfer-friendly beaches—come at a geological cost: proximity to active earthquake faults. Local AEC industry professionals are adept at meeting detailed building code requirements for structural safety. But when it comes to cutting-edge facade systems, said KPFF principals Mark Hershberg and Nathan Ingraffea, designers and builders are left with little to go on. Hershberg and Ingraffea will dig into this and other challenges and opportunities associated with seismic design at this month's Facades+ LA conference in a panel on "Anchors & Approvals: Structure and Skin in Seismic Design." In addition to Ingraffea (Hershberg will moderate), panelists include Dana Nelson (Smith-Emery) and Diana Navarro (California OSHPD). "A tremendous amount of time has been spent to increase the safety of building structures in seismic events through continual updates of the code, but very little work has been done to understand the behavior of facade systems in seismic events," noted Ingraffea. "This is a shame since the value of the facade system could be just as high as the value of the structure itself, and failure of either one could be catastrophic. This is a great opportunity for someone who wants to invest the time to modernize the code." In the meantime, designers, engineers, fabricators, and builders are left without "a well thought out design standard for seismic design of facade systems," said Ingraffea. The ASCE 7 contains only half a page on the topic. Worse still, the relevant text is "on one hand, very basic (one equation to check) and on the other hand overly onerous (dynamic racking tests), and they really do not apply to many modern facade systems," he said. As a result, building envelope design teams must tackle the issue of seismic design on a case-by case basis. "'Industry standard' is a term you hear a lot when you do a lot of facade engineering but from what I've seen the [seismic design] 'standard' is all over the board,'" said Ingraffea. 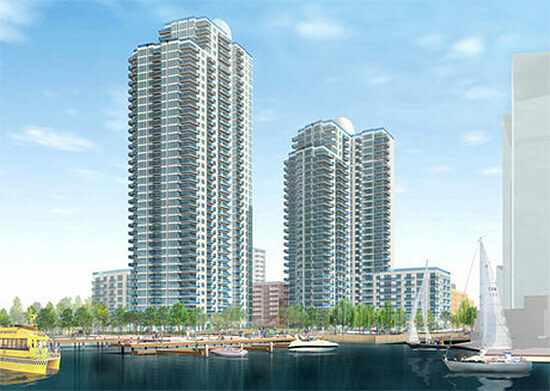 In practical terms, a lack of data or guidance on seismic activity and building skins can cost precious time and money. "Most of the challenges we see with facade design in seismic hot spots are due to the amount of movement that can occur in a building system during a seismic event," explained Hershberg. "We service many clients who want to use new facade concepts or products that may have been developed overseas, and many times the products haven't been tested to determine the range of seismic movement that they can accommodate." The design team is thus forced to perform a series of qualification tests. "This introduces an additional set of schedule risks that are sometimes overlooked," said Hershberg. Learn more about the ins and outs of seismic design at Facades+ LA. Check out a full conference agenda and register for lab or dialog workshops today on the conference website. When it comes to navigating Miami’s zoning codes, Tecela principal Andrew Frey brings an experience-based advantage to the table. Before transitioning to the business side of development in early 2011, he spent six years as a zoning lawyer. “I always wanted to be a developer, and I learned a lot from my developer clients,” recalled Frey. Frey will moderate a panel on “Creative Facade Solutions: Responses to Local Zoning” at next week’s Facades+ Miami conference. Panelists include Arquitectonica founder Bernardo Fort Brescia; Carlos Rosso, president of The Related Group’s condominium division; City of Miami commissioner Marc Sarnoff; and Shulman + Associates founding principal Allan Shulman. From the perspective of the Miami-area developer, said Frey, the two most important factors in facade design and fabrication are moisture penetration and attractiveness. 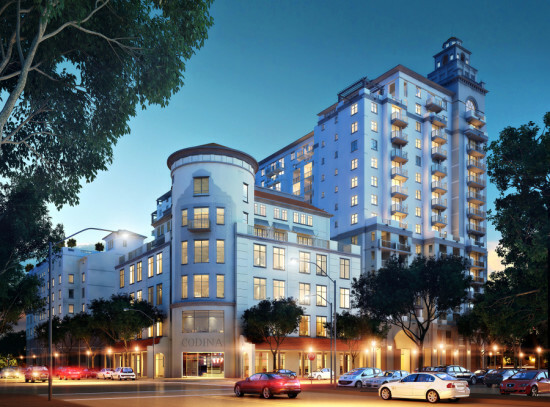 As an example, he pointed to an apartment building project in Coral Gables, completed while Frey was with his previous employer. To tackle the moisture issue, the development team paid special attention to the window assemblies, and to any areas where water could penetrate the stucco. On the aesthetic side, they worked within the city of Coral Gables’ incentives for Mediterranean architecture to design a complicated envelope articulated to break up the plane of the front wall. In general, observed Frey, the facade is “extremely important” in an urban environment. For an attached product, in particular, “it’s the only differentiation that the building will have, because you don’t see the sides or back,” he said. “Townhouses, row houses, brownstones—for that kind of a building, the facade is all it has.” With respect to how Miami building regulations impact envelope design and construction, Frey mentioned two potential problem areas. The first concerns Miami-Dade County’s hurricane code, which requires special approval for every product used. “The state of Florida and national building codes don’t count, so you’re somewhat limited in your choices,” he said. Frey cited Frank Gehry’s New World Center as a case in point. “When going through conceptual approval, they were proposing a very minimally supported glass wall,” he said. “What they wound up being able to build had very thick structural members.” (Frey acknowledged that other factors, including cost, may have led to the change in design.) Second, and more troublesome for Frey, is the subjective design review process. From his point of view, the existence of stringent design standards without an underlying commitment to fine-grained urban development reflects a confusion of priorities. “A lot of jurisdictions want to put in place very complicated facade design guidelines, but what they really need to do is to make small-scale urbanism developable,” explained Frey. “If your zoning just encourages super tall towers where the ground floor is an afterthought, of course you’re going to get monotonous, throwaway lower facades.” Hear more from Frey, his co-panelists, and other leading voices in facades design and fabrication at Facades+ Miami. Learn more and register today on the conference website. • TOD incentives will be available within an expanded radius from a transit station: up to 1,320 feet (1/4 mile) or 2,640 feet (1/2 mile) on a Pedestrian-designated street. • A 100 percent reduction from residential parking requirements if replaced with alternative transportation options, such as a car sharing station on site, or bike parking. • A streamlined process for accessing the minimum lot area, floor area ratio (FAR), and building height incentives by allowing developers to secure these benefits through an Administrative Adjustment from the Zoning Administrator, as opposed to a zoning map amendment by City Council under current law. 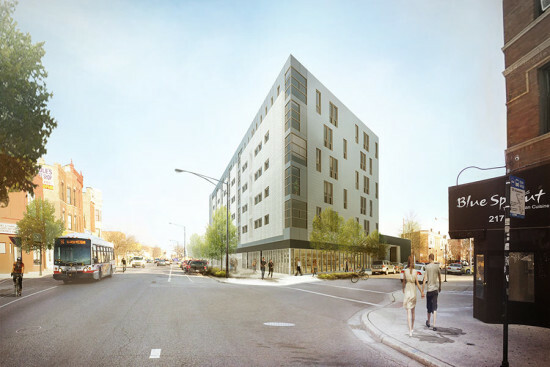 • For projects that trigger the city’s Affordable Requirements Ordinance (ARO), an additional 0.25 FAR increase (to 3.75) if the development includes half of any required affordable housing units on site, plus an additional 0.25 FAR increase (to 4.0) if the development includes all required affordable housing units on site. A team of mayors and nonprofit foundations said Wednesday that they’ll spend enough retrofitting major U.S. cities to save more than $1 billion per year in energy costs. Former New York Mayor Michael Bloomberg’s philanthropy, the Doris Duke Charitable Foundation, and the Kresge Foundation pledged $3 million each year for three years to provide technical advisers for 10 cities across the country: Atlanta, Boston, Chicago, Denver, Houston, Kansas City, Los Angeles, Orlando, Philadelphia and Salt Lake City. The City Energy Project, as it’s called, is intended to cut 5 to 7 million tons of carbon emissions annually, or roughly the amount of electricity used by 700,000 to 1 million U.S. homes each year. The Natural Resources Defense Council and the Institute for Market Transformation will help the cities draft plans to reduce waste and improve energy efficiency—a process the group said should not take more than one year. 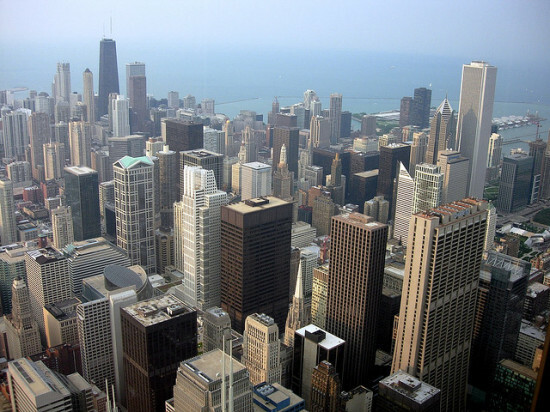 Chicago’s participation could lower energy bills by as much as $134 million annually and could cut about 1.3 million tons of greenhouse gas emissions annually, according to the mayor’s office. In a prepared statement, Mayor Rahm Emanuel said the investment would create jobs: “More energy efficiency means new jobs and continued economic growth, and a more sustainable City,” Emanuel said, “which will lead to a further increase in the quality of life for the people of Chicago.” Last year Illinois tightened its building code and Chicago ordered large buildings to disclose their energy use. In Chicago, like many of the nation’s older cities, large buildings eat up much of the city’s energy—together the buildings sector accounts for 40 percent of primary energy consumption in the U.S. While energy efficiency has long been recognized for its financial opportunity, major banks have only recently begun to invest. Los Angeles Mayor Eric Garcetti said he hopes City Energy Project will connect building owners and private financiers, bringing more money to large-scale efficiency initiatives. In Palo Alto, California, the city council recently approved a proposal (9-0) to alter the city's building code, requiring new homes to install wiring for electric car charging stations. Pre-wiring for the 240-Volt Level 2 charging stations costs about $200, while many homes in the city sell for over $1 million. The proposal would also make it easier for homeowners to get permits to retrofit their homes for the charging stations. (Photo: Steve Jurvetson / Flickr)While some fear the city is overstepping its boundaries, and that electric cars may not be the way of the future, supporters see this as a viable step closer toward more sustainable neighborhoods and cities by lowering greenhouse gases, in targeting the infrastructure of where we live first. Last year, Vancouver passed a similar ordinance requiring electric car charging stations in several types of residences. Here's a detailed checklist from the City of Palo Alto with the requirements for installing a home car charging station. And here's a roundup of which cities around the world have the most electric cars. While the majority of New York City is pre-occupied with the recovery efforts post-Hurricane Sandy, the Department of City Planning (DCP) is discussing and introducing different measures that can be taken to protect our buildings from future storms. At a review session yesterday, Howard Slatkin, the Director of Sustainability and Deputy Director of Strategic Planning for the DCP, presented Hurricane Sandy: Initial Lessons for Buildings. From the start, Slatkin maintained that newly constructed buildings designed to code “fared better.” He listed several buildings—such as The Edge in Williamsburg, IKEA in Red Hook, and Arverne by the Sea in the Rockaways—as examples of new developments that successfully withstood the storm. “Ninety-eight percent of buildings destroyed by the storm were built pre-1983,” said Slatkin. “If you design buildings to the proper standards, they can survive flooding.” Even with those findings, Slatkin said the storm “exceeded both the boundaries and flood heights of the current FEMA 100-year flood zones.” He reinforced the need for upgrades to building codes that would require “freeboarding,” which means elevating the lowest floor of a building. Beyond building codes, Slatkin touched upon the need to implement changes to the flood maps, and revealed that this will happen in the very near future. “FEMA is expediting the release of the new FEMA map,” said Slatkin who anticipates this will happen at the end of this month. FEMA recently posted new flood elevation maps for 10 counties in New Jersey. Nature's Benz. LA Autoshow reveals a radically green Mercedes-Benz concept called Biome-- it's made of organic fibers, powered by the sun, and releases pure oxygen into the air! 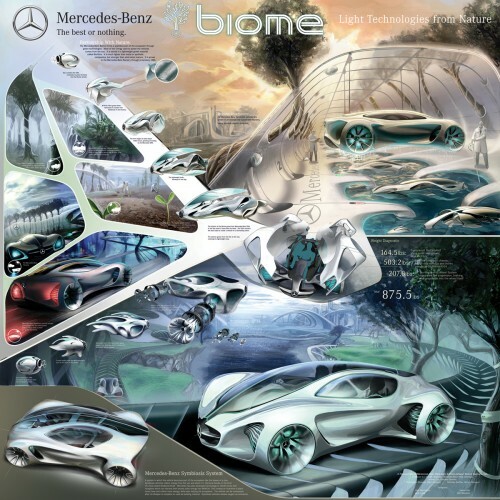 The system behind this model is called "Mercedes-Benz Symbiosis," in which vehicles are seamless part of the ecosystem. Facebook's Exodus. According to the New York Times, Facebook is moving out -- of the office clusters in Palo Alto -- and into an insulated 57-acre corporate campus in Menlo Park, California, which is to be renovated by San Francisco-based Gensler. About 2,000 workers, including Mark Zuckerberg, will be moved in within next 10 months. These young 20-somethings don't want a sleek corporate office, but something idiosyncratic and soulful, which the new campus aims for. Code Green. 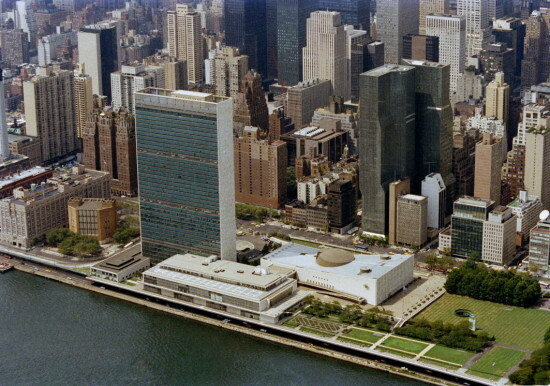 Crain's reports that the New York City Council continues to green up the city's building codes. A trio of bills looks to "create more energy-efficient roofs." While the first bill requires more reflective and less heat-absorbent roof materials, the second removes building-height limitations from solar thermal equipment and electric collectors and the third bill will add heat and power systems to the list of allowable rooftop structures. Well-spoken Vowell. Chicago magazine talks to Sarah Vowell about Chicago -- and a little New York -- architecture. "It’s what I do for fun: Go see buildings. I like architecture because it’s so nonverbal," she said, and then goes on to discuss her personal relationship with the Carson Pirie-Scott Building. Vowell recently finished her new book on Hawaii called Unfamiliar Fishes.